At Electrical Apparatus, we understand the significance of your motor repair, and therefore restore AC and DC stators to service in a timely manner with repairs of the highest quality. We have a team of talented technicians and an array of tools and equipment at our disposal to provide you with stator services you can trust. 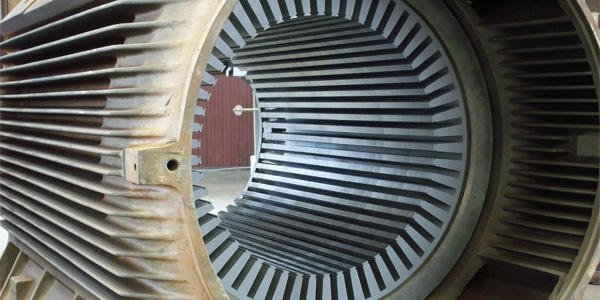 Whether you need us to inspect, re-stack iron or laser cut new laminations, we offer cost-effective solutions for any stator problem you encounter. So, what are you waiting for? Electrical Apparatus can provide the high-quality stator service you need at competitive rates! If you have any queries about our AC and DC stator manufacturing and repair service, don’t hesitate and contact us at 1-800-528-3823. Alternatively, you can use the form on this page to provide us the information you need and we will get back to you with the right information as soon as possible!